Olympic athletes and coaches were sent packing from the 2012 London Games for an array of reasons. A sailing coach was disciplined for drunk driving, a judo fighter tested positive for marijuana and a rower was punished for a booze-fueled rampage. At least two athletes were expelled for sending offensive tweets. Hours after Switzerland lost to South Korea, Swiss soccer player Michel Morganella said in the tweet that South Koreans "can go burn" and referred to them as a "bunch of mongoloids." He was promptly sent home. A few days earlier, Triple jumper Voula Papachristou was kicked off Greece's Olympic team for her comments on Twitter mocking African immigrants. Addressing the reported appearance of Nile-virus-carrying mosquitoes in her native country, Papachristou wrote: "With so many Africans in Greece, the West Nile mosquitoes will be getting home food!!!" The following week, on August 3, German Olympic officials said that rower Nadja Drygalla had left the Olympics after a broadcaster reported that her boyfriend was a supporter of an extreme right-wing party in Germany. Drygalla, a member of the women's eight crew, left the Olympic village to avoid any "burden for the Olympic team," said Michael Vesper, general director of the national Olympic association. According to Yahoo Sports, Drygalla's boyfriend was reportedly "a leader of the Rostock National Socialists, a group German intelligence describes as neo-Nazi and racist." In early 2012, Bobby Petrino was revered at the University of Arkansas. The football coach had just completed his fourth season with the Razorbacks, who had developed into a national contender under his watch. He was 21-5 over his last two seasons at the school, and the Hogs finished his last season ranked No. 5. But Petrino's reign came crashing down - literally and figuratively - on April 1 when the coach was injured in a motorcycle accident. Petrino initially claimed he was riding alone but it soon emerged that he had been riding with Jessica Dorrell, a 25-year-old employee and former Arkansas volleyball player. Petrino eventually admitted having an affair with Dorrell, who he later hired as a football assistant and gave her $20,000 in gifts. The next week, Arkansas fired Petrino, saying he "knowingly misled" and engaged in reckless behavior in a relationship with Dorrell. Athletic director Jeff Long said Petrino was fired for trying to cover up the circumstances of the motorcycle crash and his failure to come clean about his relationship with Dorrell. On December 10, Western Kentucky hired Petrino as the new Hilltoppers' football coach. "It was no secret that Petrino hoped to land a job further up the coaching ladder than the Hilltoppers, but his lies to Long and job-hopping past apparently made him too radioactive for any BCS-level school to touch," wrote CBSSports.com's Jerry Hinnen. The words "badminton" and "scandal" don't generally go together but the 2012 London Games proved otherwise. On August 1, four badminton teams were kicked out of the women's doubles at the Summer Olympics for trying to lose on purpose, conduct that a top IOC executive said strikes at the heart of Olympic competition. The eight doubles players from China, South Korea and Indonesia were cited by the Badminton World Federation for "conducting oneself in a manner that is clearly abusive or detrimental to the sport." The players were loudly booed for their performance after it became clear they were deliberately trying to lose. The reason for throwing the matches? Teams blamed the introduction of a round-robin system. Under such a format, it's much easier for results to be rigged to earn an easier matchup in the knockout round. It appeared to be the first mass disqualification in Olympic history. The season began on a promising note for Dallas Cowboys nose guard Josh Brent. The player had become a bigger presence on defense with starter Jay Ratliff battling injuries. Brent made his first career start in the season opener against the New York Giants and registered 35 tackles and 1 1/2 sacks through the first 12 games of the season. But everything changed in the early hours of December 8 when Brent got behind the wheel of a car with best friend and teammate Jerry Brown in the passenger seat. Police say Brent was speeding when his vehicle struck a curb and flipped in a Dallas suburb. Brown was taken to a Dallas hospital, where he was pronounced dead. Brent was arrested and charged with intoxicated manslaughter, which carries a maximum sentence of 20 years in prison. A defendant with no prior felony convictions could be eligible for probation but Brent pleaded guilty three years ago to DUI while he was playing in college. In that case, Brent was sentenced to 60 days in jail and two years of probation, according to court records. Brent and Brown met at the University of Illinois and formed a close bond which blossomed during their time in the NFL. Brown had been living with Brent during the six weeks he spent with the Cowboys and Brent called his teammate "his very best friend." Brent has been placed on the NFL reserve/non-football illness list and won't play again this season. He was also reportedly banned from the Cowboys sideline. In February 2012 - two years after winning their first Super Bowl - the New Orleans Saints were sacked with a bombshell allegation that stunned the football world. The accusation: the team paid defenders to target and injure opposing players. The NFL suspended Saints head coach Sean Payton for the entire season and former defensive coordinator Gregg Williams indefinitely. Saints linebacker Jonathon Vilma was banned for the season and three other players also received suspensions for their roles in the alleged bounty system. (All four appealed). NFL investigators said that Vilma and defensive end Will Smith were ring-leaders of the cash-for-hits program that rewarded injurious tackles labeled as "cart-offs" and "knockouts." Specifically, the league accused Vilma of putting a $10,000 bounty on then-Vikings quarterback Brett Favre during the January 2010 NFC Championship Game. After a protracted legal and PR battle, former NFL Commissioner Paul Tagliabue overturned the suspensions of four current and former Saints players in early December. Tagliabue, however, found that three of the players engaged in conduct detrimental to the league and chided the team's coaches. "Unlike Saints' broad organizational misconduct, player appeals involve sharply focused issues of alleged individual player misconduct in several different aspects," said a portion of ruling. "My affirmation of Commissioner Goodell's findings could certainly justify the issuance of fines. However, this entire case has been contaminated by the coaches and others in the Saints' organization." Saints quarterback Drew Brees, an outspoken defender of his coach and team amid the scandal, said he was happy the suspensions were vacated but added that "there are some things that can never be taken back." During a CBS investigation into Lance Armstrong in 2011, the 60 Minutes reporters and producers on the assignment said they were struck by the strict "code of silence" they encountered around the issue of doping in cycling, particularly whether Armstrong himself had ever doped. On October 22, that code of silence fell apart in stunning fashion when the cyclist was stripped of his seven Tour de France titles and banned for life by cycling's governing body. The punishment was issued following a report from the U.S. Anti-Doping Agency that accused Armstrong of leading a massive doping program on his teams. The USADA report said Armstrong and his teams used steroids, the blood booster EPO and blood transfusions. The report included statements from 11 former teammates who testified against Armstrong - including Tyler Hamilton, who told "60 Minutes" in 2011 that he saw Armstrong inject performance enhancing drugs "many times." Armstrong has continued to deny the charges, arguing that he passed hundreds of drug tests. He said he chose not to fight USADA in court because the process was biased against him. "There comes a point in every man's life when he has to say, 'Enough is enough.' For me, that time is now," Armstrong said. 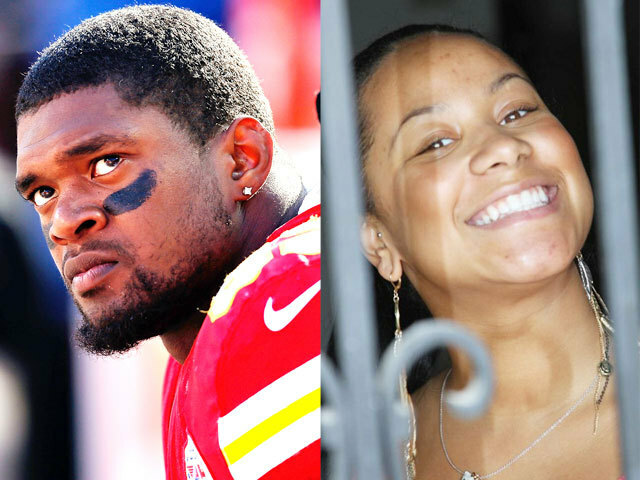 Jovan Belcher beat the odds to make it to the NFL. The undersized defensive end played college ball at Maine - not a major college football powerhouse. Still, he impressed scouts and signed with the Chiefs as an undrafted free agent. He made the team as a linebacker and eventually moved into the starting lineup this season. On December 1, Belcher fatally shot his girlfriend Kasandra Perkins, the mother of the couple's 3-month-old daughter. He then drove to Arrowhead Stadium and committed suicide. Belcher was apparently worried he would lose his baby and money to Perkins before fatally shooting her and killing himself, according to police reports. Belcher also complained about Perkins in conversations and text messages sent to a woman he was dating on the side, the reports show. In one text message sent in late October or early November, Belcher wrote he "would shoot" Perkins "if she didn't leave him alone." The girlfriend told police that Belcher said "his child's mother threatened to take all his money and his child if they split up" and "knew exactly how to press his buttons and make him angry." After shooting Perkins multiple times in their home on Dec. 1, Belcher drove to team headquarters. According to police reports, when Chiefs coach Romeo Crennel arrived, Belcher said, "You know that I've been having some major problems at home and with my girlfriend. I need help! I wasn't able to get enough help. I appreciate everything you all have done for me with trying to help ... but it wasn't enough. I have hurt my girl already and I can't go back now." As a police officer approached, Belcher knelt behind a vehicle, saying, "Guys, I have to do this. ... I got to go, can't be here and take care of my daughter." He made the sign of the cross on his chest and fired a bullet into his head, the report said. As Joe Paterno's assistant for 30 years, Jerry Sandusky was revered as a stellar defensive coordinator for the Penn State football team. He was also widely praised as the founder of The Second Mile, a charitable organization for troubled children. But a portrait of Sandusky as a serial child molester emerged last year and in October of 2012, he was sentenced to at least 30 years in prison in the scandal that brought shame to Penn State and led to Paterno's downfall. Sandusky was found guilty in June of 45 counts of child sexual abuse, convicted of molesting 10 boys over a 15-year period. Witnesses said Sandusky used The Second Mile as his personal hunting ground to find and groom boys to become his victims. The scandal rocked State College and toppled the school's most famous figure -- Paterno. Soon after Sandusky was arrested (along with university administrators Gary Schultz and Tim Curley), the board of trustees fired Paterno, a coaching icon who won two national championships. He died of lung cancer in January. Over the summer, an investigation commissioned by the university concluded that Paterno and other top officials covered up allegations against Sandusky for years to avoid bad publicity. The scandal also triggered staggering NCAA sanctions against the football team. The penalties were unprecedented: a ban on postseason play, a $60 million fine and a slashing of football scholarships. The NCAA also wiped out 14 years of victories for Paterno, stripping him of his standing as major college football's winningest coach. Sandusky is currently serving his child molestation prison sentence at an institution in far southwestern Pennsylvania that includes most of the state's death row inmates.